Building Square Foot Boxes really isn’t complicated. If we can do it, anyone can! Here is our step by step guide. I know when we started I felt a little overwhelmed with all the information. How to to build, what to used, how to fill them. 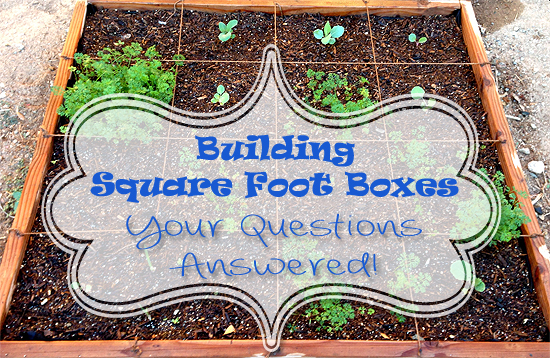 Today I am sharing one of my podcasts (from last year) on how we build our square foot garden boxes answering reader questions. Baby Bok Choy is the Bomb! 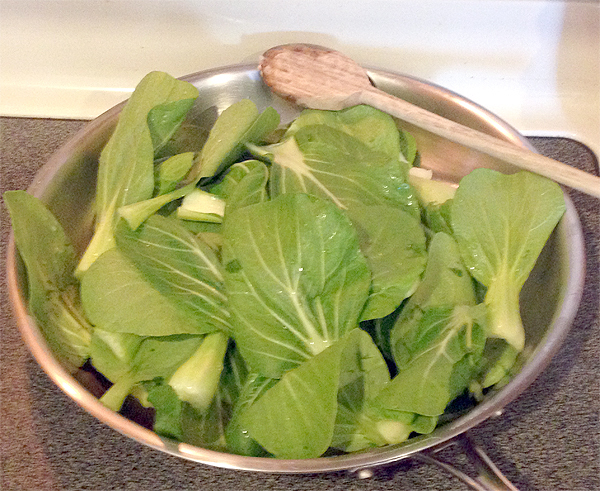 This morning I harvested some baby bok choy from box 4. 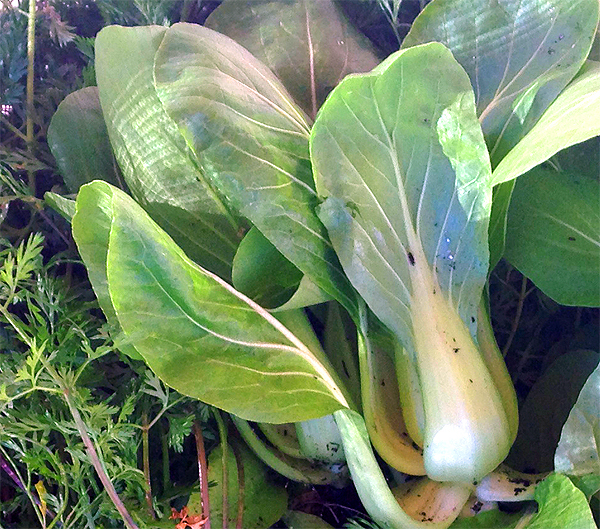 I love this bok choy – mild flavor, lots of ways to cook it and it grows well in Phoenix. I grow 4 per square in my 4×4 box. I will be planting a lot more next time. Bok Choy looks similar to celery but is actually part of the cabbage family. 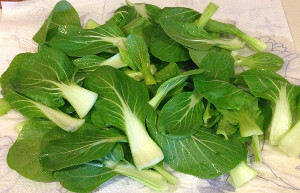 Bok Choy is great in stir frys, soups and it can be eaten raw. Bok Choy is a super veggie – a great source of vitamins A, B, C & K! 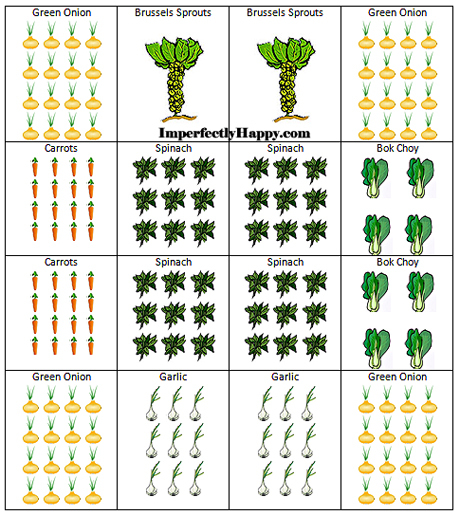 Bok Choy (like other cruciferous veggies) have cancer fighting properties. 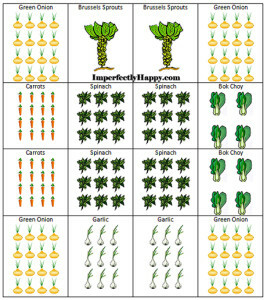 Bok Choy has been grown and harvested in China for more than 5,000 year. 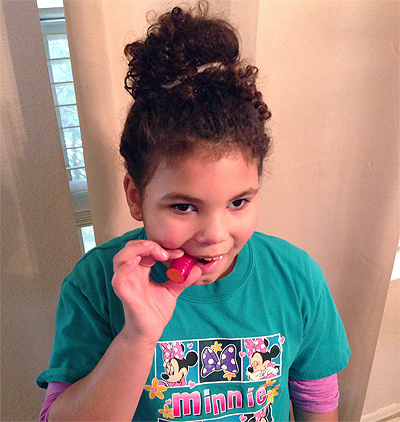 *Bonus* It is YUMMY – even my 8 year old asks for 2nds! I had a few people as how I cook it so I thought I would share. This is my quick sauté but I also wilt the leaves with Swiss Chard or add it to soups, stocks and stews. It is very versatile. First cut the ends off your veggies and wash thoroughly. Then set them out on a paper towel to dry – pat them with another one too (water and oil is no fun). While it is drying add a couple of tablespoons of your favorite oil to your pan on medium. I use coconut oil and it only adds to the yummy flavor. 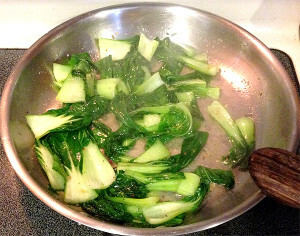 Once the oil is heated and the bok choy is dry you can add it to the pan. You’ll want to cook it down for a few minutes then add your favorite spices. Be careful to not go too heavy; this veggie is mild and too much spice can overwhelm it. I like just salt and pepper, maybe garlic. Today I got crazy and used a spice mix from Trader Joe’s – crazy good! So at this point you can take if off or cook it down a bit more to soften the stalks. If you are interested in growing your own Baby Bok Choy (I just love saying it) I recommend Baker’s Heritage Variety. Hope you and your family enjoys is as much as ours does! A beautiful harvest today, my 8 year old even came out to help. I don’t know that I will ever get over (I hope I won’t) the beauty and wonder of planting a tiny seed and later harvesting a meal…just steps from my backdoor. 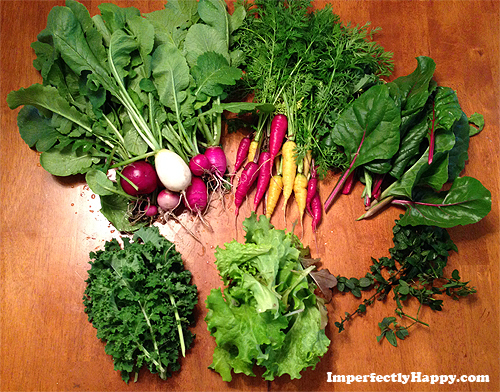 Radishes – 2 of them were HUGE, aka Radishes Gone Wild! Another white radish popped up among my purple. Carrots – both the Yellow Amarillo and the Purple Cosmic. Swiss Chard – I love love love my chard. It is taking spinach’s place in my heart…and tummy. Kale – just a bit but this will be yummy in tonight’s salad. Lettuce Greens – A nice variety of lettuce greens, the reds are hiding under the pile. Herbs – Chocolate Mint; I intend to make some infused water today. 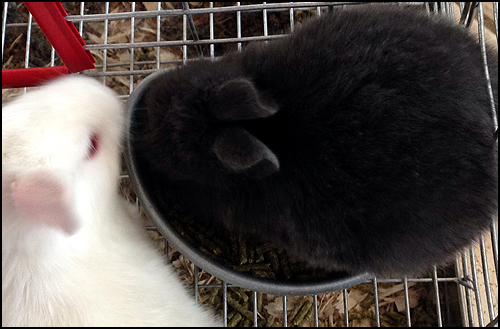 Henrietta’s kits are 3 weeks old today…this one likes to sit in the food bowl during his/her meal. We had a unseasonably warm weekend, even for Phoenix. I even turned the misters on for my rabbits because I worried the shade on the porch wouldn’t be enough to keep the cool. Everyone is fine, thankfully. Even though I am an Arizona native I am not a fan of heat; ironic isn’t it? 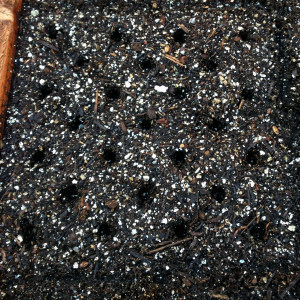 But I was determined to get out there and plant my 4th box because I was already behind on my schedule. 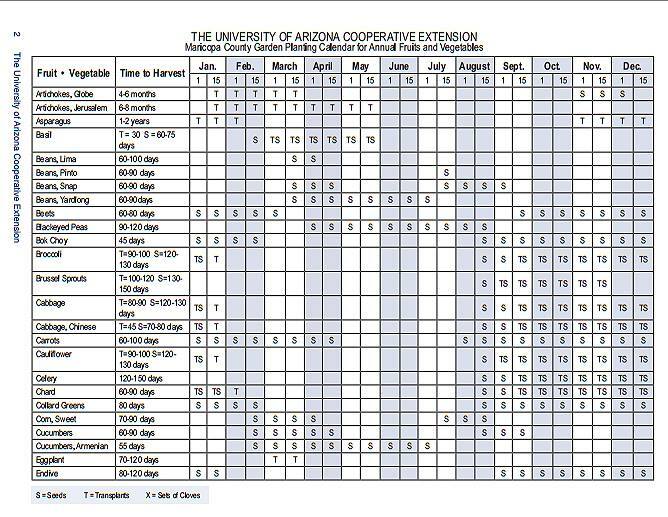 I like to follow my Maricopa Extension Office planting calendar which has you planting the 1st and 15th of every month. 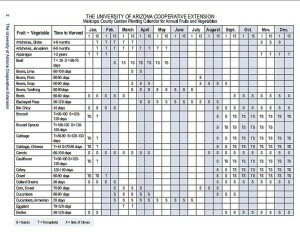 This keeps me on track, especially during busy fall planting. If you are not in Maricopa county, check your local office or try Sprout Robot . 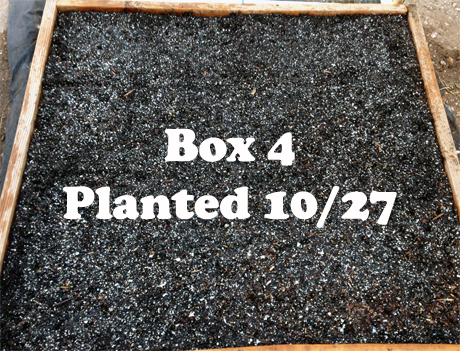 I am happy to report that on Sunday I planted Box #4! I also got to use my new Garden Stamp for the first time! This is the box plan I made up during the week…and for once, it is exactly what I planted! I dedicated a lot of the box to spinach again. We eat a lot of spinach and I will feed it to the hens as needed too; have to keep up their greens intake when the weeds in the yard have died off. I filled the box up with a combination of my home-grown compost and organic soil. 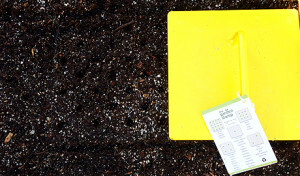 I hope in the near future I will not need to purchase soil, but alas, for now I don’t have enough compost. The hubster built another dog/bird fence for the box and I was ready to go! So with my new tool in hand I set out to box #4. When I got the stamp out I was thinking I would need with with various “pegs” for all the different projects and planting. But what’s great is the stamp has a guide on it so you can use the right holes for the number of seeds you’re putting in the soil. into. But she was able to plant with perfect spacing. 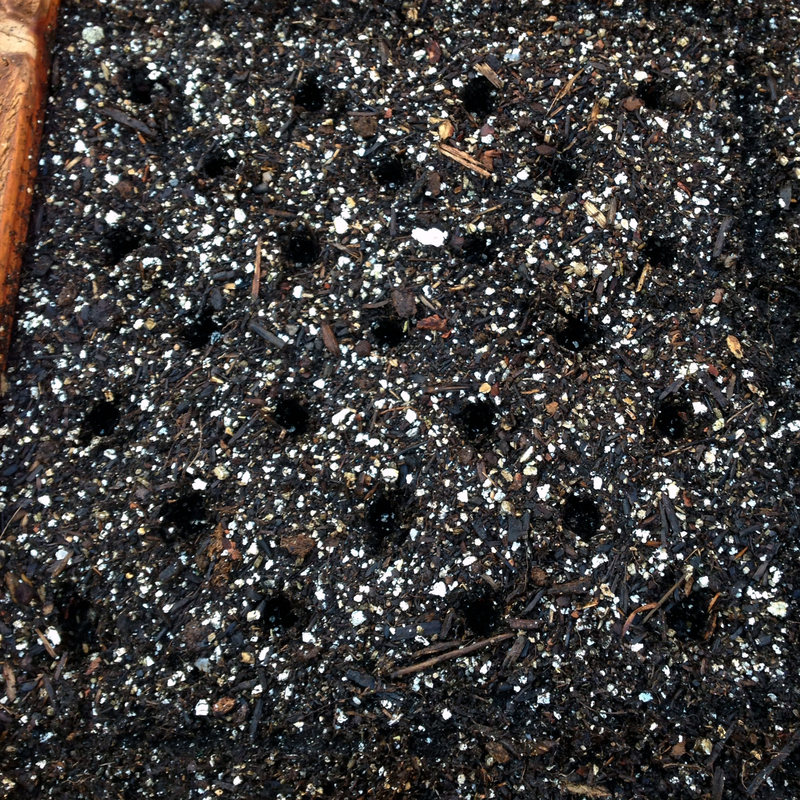 <3 Check out these beautifully spaced rows ready for planting! When we were done planting I simply gave the stamp a rinse with the hose and it was brand new again. 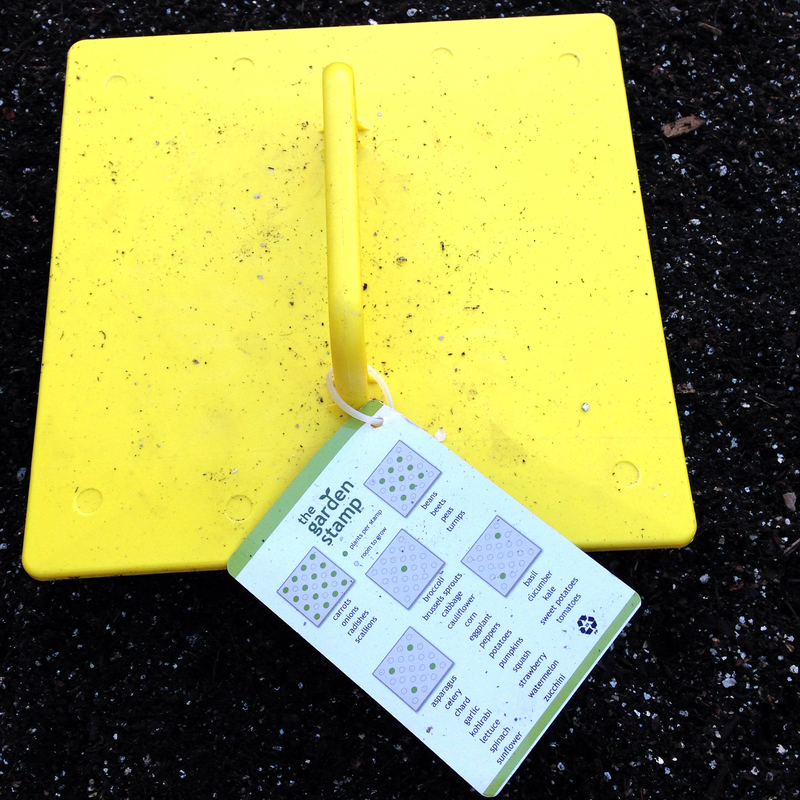 Because the stamp is a perfect square I decided to try planting without grids…don’t tell Mel! I have to tell you that made me nervous and I sort of miss my symmetrical lines. The stamp would work within each square foot without issue and we’ll see if I go back or not with Box #5. The box was planted perfectly and I am excited to watch this one grow without lines; I guess it is the first step away from my SFG crutch. 😛 Either way I’m hooked on the stamp and it will now be a part of my planting routine with each box.